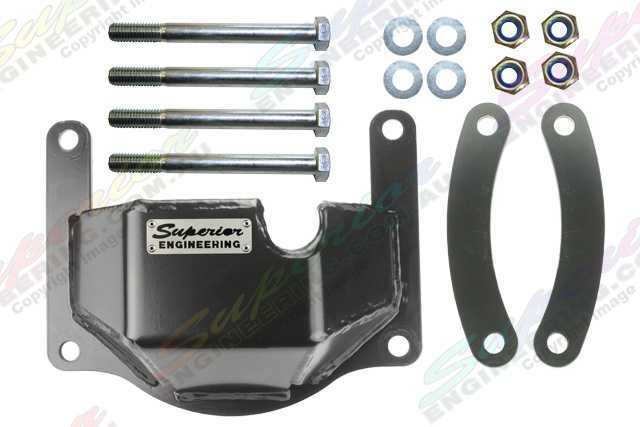 This is a Front Bolt-On Diff Guard suitable for the Toyota Landcruiser. 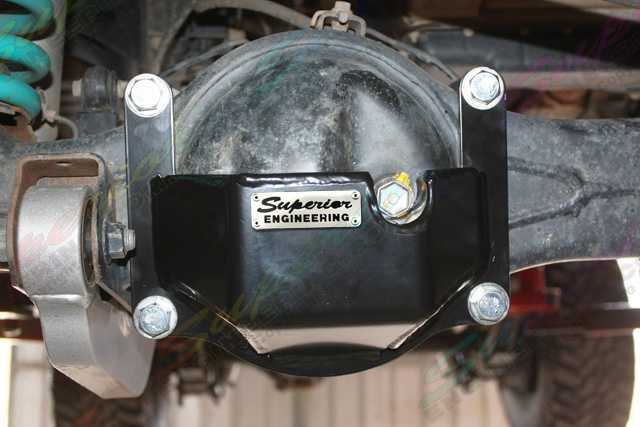 Superior Engineering Stealth Diff Guards are Suitable For 80, 105, 76, 78 and 79 Series Landcruisers. These are 100% bolt-on protection made from 250 Grade steel in 6mm steel for the ultimate protection of your ring gear. 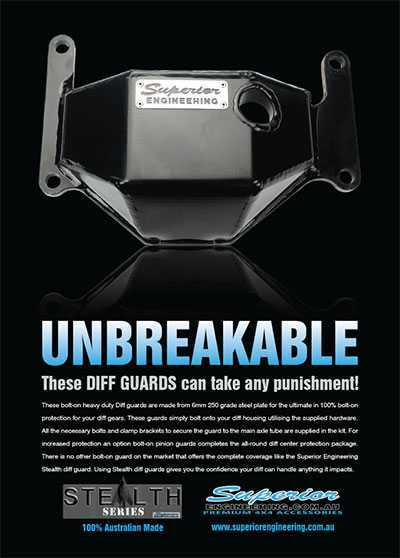 These Guards simply bolt onto your diff housing utilising the supplied hardware. To further add to the protection the Diff guard also has a profile of the diff housing that fits snuggly against the housing to help share the impact load. Manufactured to sit as close to the original housing as possible there will be sufficient clearance for aftermarket Panhard rods. There is no other bolt on Guard on the market that has complete coverage like the Superior Engineering Stealth Diff Guards. 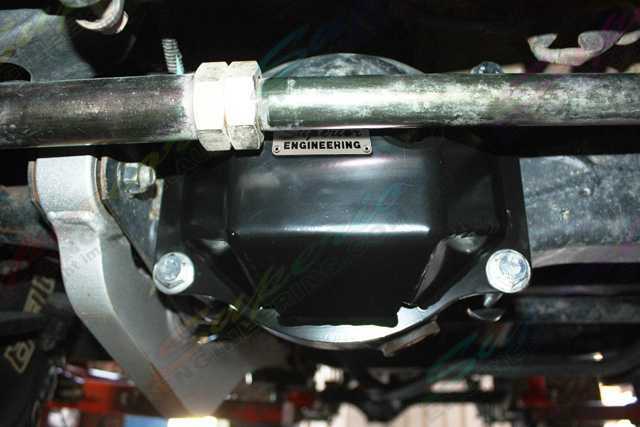 By using Stealth diff guards you know your front diff can handle anything it impacts. Finished in a Hardwearing Powder coat and 100% made in Australia. Note: If using aftermarket Radius Arms and/or an aftermarket Panhard Rod it is recommended to check the clearances when fitted. 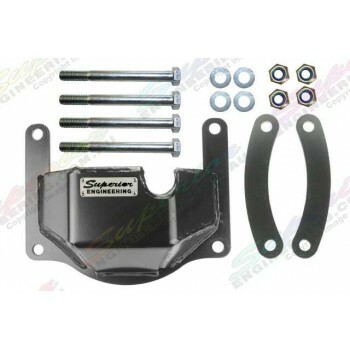 It is also recommended to check diff to sump clearance at full compression. Will not fit with our weld on diff brace kit.